In an increasingly polarized and divided world, it's of some comfort to know that there's one thing that nearly everone in the world agrees upon: All throughout the world, on every continent where they can be found, in every nation, state, city, town, and village, people everywhere detest cockroaches. Roaches, their shed skins, and their droppings contaminate hundreds of thousands of pounds of stored food every year. 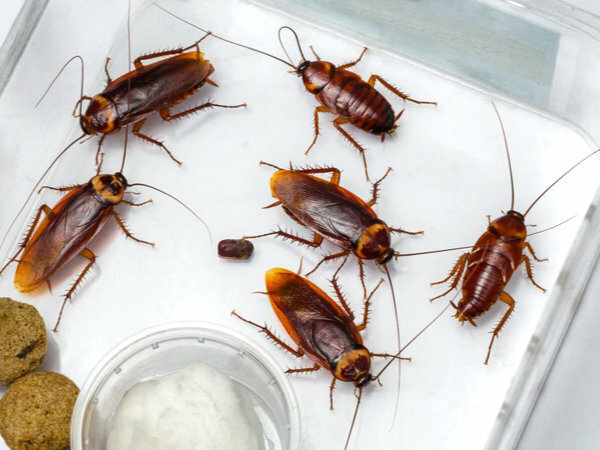 Because cockroaches are associated with poor sanitation, the presence of cockroaches in a home or business can be an embarassment to the family or the business's management. Cockroaches tend to live in close proximity to each other, but they are not social insects. They have no social structure or division of labor, and adult cockroaches do nothing to care for their young other than to deposit their eggs in areas close to food, water, and harborage. Most of the common cockroach species in the United States are reclusive insects who avoid light and air currents. Cockroaches are among the most prolific insects in the world. Their rapid reproduction is one of the reasons why a single pregnant cockroach carried home in a grocery bag really can explode into a major infestation in almost no time at all. A German cockroach in an average environment, with sufficient food, warmth, moisture, and harborage, lives for about three or four months, on average. During this time, a female will produce 4 to 6 oothecae, or egg sacs, with each ootheca containing between 30 and 40 eggs. This makes for an average reproductive potential of between 120 - 240 live offspring during her lifetime.